This article reports on a study of English language arts teachers' attempts to integrate technology into the English classroom. Informants included middle and high school English teachers with varying teaching and technology experiences. Conceptualized as an interview study, the study used an open-ended protocol and spontaneously generated probes to seek teachers' perspectives. Results from the study revealed that teachers described their attitudes toward technology through considerations of gains, dilemmas, and concerns with regard to their own or their students' computer applications. Governed by the “practicality ethic,” as opposed to researchers' and legislators' “rationale ethic” (Doyle & Ponders as cited in Fullan & Stiegelbauer, 1991), the teachers in this study were willing to accept change as long as they were convinced that it would allow them to see a gain for their students as well as for their own instructional practices. Administrators, on the other hand, were reported to push for technology, for they appeared to perceive it as the ultimate goal in any educational context. McGrail, E. (2005). Teachers, Technology, and Change: English Teachers’ Perspectives. 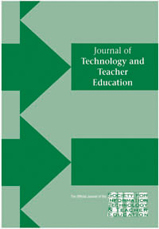 Journal of Technology and Teacher Education, 13 (1), 5-24. Norfolk, VA: Society for Information Technology & Teacher Education. Retrieved April 24, 2019 from https://www.learntechlib.org/primary/p/18893/. Barrell , B. (1999). Technology and change in Atlantic Canada’s new secondary English language arts curriculum. English Education, 31(3) , 231- 247. Blumer , H. (1969). Symbolic interactionism: Perspectives and method. Englewood Cliffs , NJ: Prentice-Hall. Cuban, L. (2001). Overso ld and underused computers in the classroom. Cambridge, MA: Harvard University Press. Fullan , M. (1993). Change forces: Probing the depths of educational reform. Bristol, PA: The Falmer Press, Taylor& Francis. Technology Counts Report (2001). The new divides: Looking beneath the numbers to reveal digital inequities. Education Week (American Education’s Newspaper of Record) , 20(35) , 10-35. Traubitz , N . (1998 , January) . A semester of action research: Reinventing my English teaching through technology. English Journal, 87(1), 73-77. Windschitl , M . , & Sahl , K . (2002) . Tracing teachers’ use of technology in a laptop computer school: The interplay of teacher bel iefs , soc ial dynamics , and institutional culture . American Educat ional Research Journal, 39(1) , 165-205 . Teachers' Fear of Technology--How Does It Impact the Classroom?